IndonesiaTravelVisit.com | Sosrowijayan is the second famous tourist kampong after Prawirotaman. Located in the center of Yogyakarta city, this kampong offers lodgings and hotels at affordable prices and other interesting facilities from old hotel building to batik course. Walking about 200 meters southwards from Tugu railway station, along Malioboro Street, you will find Sosrowijayan kampong. A plank at the corner of the small street with the same name on it leads you to the area. 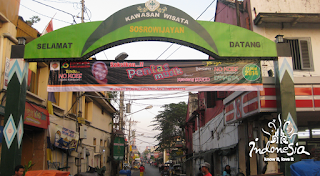 Connecting Dagen Street and Malioboro Street, Sosrowijayan is split into two areas, namely East Sosrowijayan and West Sosrowijayan. 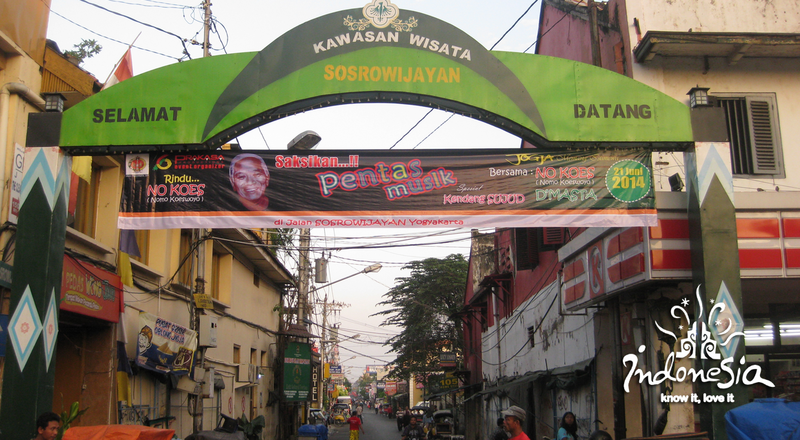 Later, East Sosrowijayan is known as the second famous tourist kampong in Yogyakarta after Prawirotaman. Arriving at the T-junction of the street named after the past authority of the area (Sosrowijoyo), you will be greeted friendly by pedicab drivers. Usually, they will assist you to get lodgings or take a mini tour along Malioboro Street or to get bakpia (the special snack of this city) at Pathok area by riding their pedicab. Many guides will readily assist you to get lodgings, for example. They will tell you many things about places of interests in Yogyakarta, too. Entering the first alley, there are two bookshops. Most of the works sold there are novels in English; some of them are in Indonesian language. You can freely select or just take a quick reading of the content since they are all unwrapped. Even though most of them are used ones, physical quality of the books is preserved so well that they are worth collecting. The prices vary but they are definitely cheaper than those in bookshops. If you want to be able to make batik, you can take a course offered by a lodging in the second alley. Close to the lodging, there is a batik studio managed by a local inhabitant. The style of the batik in this studio is painting batik, just like the ones you find in Taman kampong, near Tamansari Water Castle. The superiority of painting batik lies of its colors and temporary design. As a kampong for tourists, there must be many guesthouses there. Different from the ones in Prawirotaman, the guesthouses and lodgings in this kampong are among local people's houses since most of them are in the alleys of the kampong. 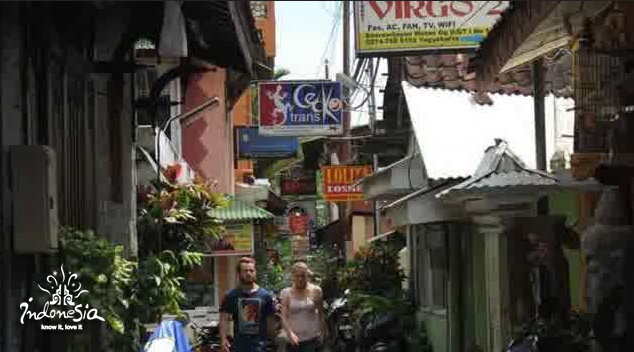 If you want to stay in more a private lodging, you can choose one among many hotels alongside Sosrowijayan Street. The tariff of the lodgings in this kampong that is located to the south of Pasar Kembang area is not different from that in Prawirotaman. In the afternoon, while relaxing after wandering about Yogyakarta, you can enjoy the life of local children. Usually, girls will play rope jump or other traditional children games and boys gather in a certain place to have a chat. Meanwhile, the young people play guitar while singing Indonesian hit songs. They are members of Maliboro Art Community that in certain occasions they perform on stages. Tour travels are also available in Sosrowijayan. Moneychanger, internet connection, telecommunication booth, motorcycle and car rental are all available for your convenience. When you are hungry, you can just go to dining places opened by local inhabitants. At the end of the first alley, for example, there is a simple dining place yet many foreign tourists come to have meals. Traditional cuisine such as fried noodle, stir-fried vegetables with chili and other delicious dishes are served. Some restaurants serve steak and other menus at affordable prices. In the evening time, Sosrowijayan gets more vivid. Many young people gather at the street sides while some cafes tune live music as an alternative amusement. 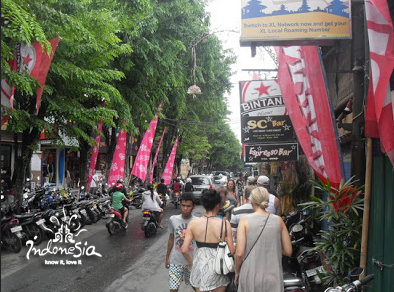 In combination with the nightlife of Malioboro Street, Sosrowijayan becomes vivid. A small warong under an orange tent that local people call angkringan is a nice place to have a talk. While chatting, you can enjoy tea, ginger beverage, or the other delicious menus at very cheap prices. 0 Komentar untuk "SOSROWIJAYAN A Tourist Kampong in The City Center of Yogyakarta"